In this category, you’ll find plate sets with particular plates of the same type, available for purchase together for a better price. 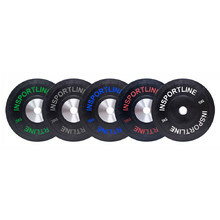 You can choose from a variety of steel, cement or rubber-coated plates suitable for all types of bars with 30 mm or 50 mm diameter axe. inSPORTline, as a well-established brand that has been on the market for 15 years, guarantees a high quality standard for all the plate sets. 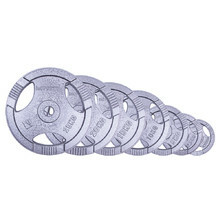 A great deal of attention is put on the overall quality of the products, used materials, durability and design. 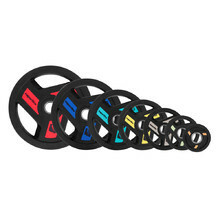 As a result, we provide top-quality products with high longevity. 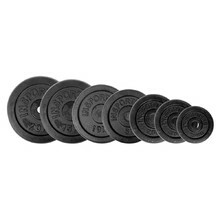 Set of rubber coated weight plates intended for barbells 30mm in diameter. 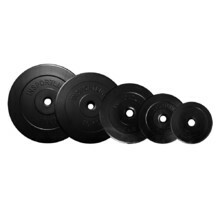 The set includes weight plate pairs of the following sizes: 5, 10, 15, 20 and 25 kg.